In 1832, Elizabeth Cleghorn Stevenson married William Gaskell in St John’s Church. Visitors can see a copy of their historic marriage certificate, displayed for the first time. 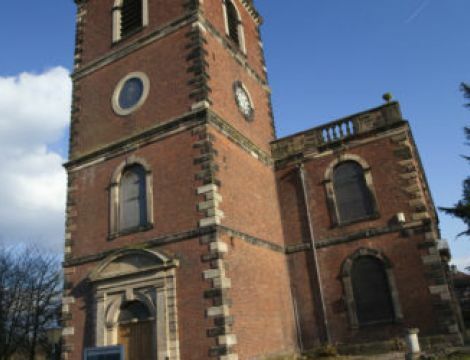 St John’s Church was commissioned under the architect John Garlive, who designed Booths Hall for Peter Legh. The church was built in Georgian style using local brick with stone dressings and consecrated on 24th June 1744. It was in this church that Elizabeth Stevenson married William Gaskell in 1832. The wedding itself was a happy affair and Elizabeth wrote that most of the houses were ‘sanded’ for her wedding day, this being the local custom of writing messages and patterns in coloured sand that continues to this day and can be seen every May during Royal May Day. 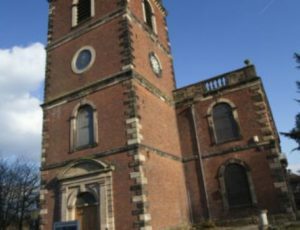 In recent years the Church has been re-ordered bringing the building back to its original style to make the most of the beauty in its simplicity. It has a thriving cafe, a wonderful organ, eight functioning bells, a magnificent gold chandelier and an unparalleled view of Knutsford from the top of the Church tower. Visitors will be allowed to climb the tower but should note there are 88 steps and the ascent is not for the fainthearted! Visitors wishing to climb the Church tower should note there are 88 steps up a narrow spiral staircase and the hatch opening to the top of the tower is quite narrow.